​I first discovered this camera when I was reading the Tokyo Camera Style book by John Sypal. I initially fell in love with the design of the camera but was also very intrigued when I discovered on the internet that it’s a half frame camera. Half frame camera’s were popular before I was born so I wasn’t sure what this type of camera was. After further research I discovered that a half frame camera uses twice as many frames at half the normal frame width on a 35mm negative to an ordinary film camera. For instance, if I loaded this camera with a 36 exposure film, I would be able to get 72 images instead of 36. This was because developing pictures back in the 1950s/60s was quite expensive so this was a great way to get twice as many photos developed for the same price. As development of photos got cheaper in subsequent years, the half frame camera became less popular. I found this highly fascinating and immediately knew I would love to add a half frame camera to my collection. After further research I found lots of half frame cameras had been released into the market over the years. Initially Olympus had released the Olympus Pen F camera and some of these camera’s have a cool F design on the front of the camera (like the lens cap design in my picture) but these didn’t include a self timer. 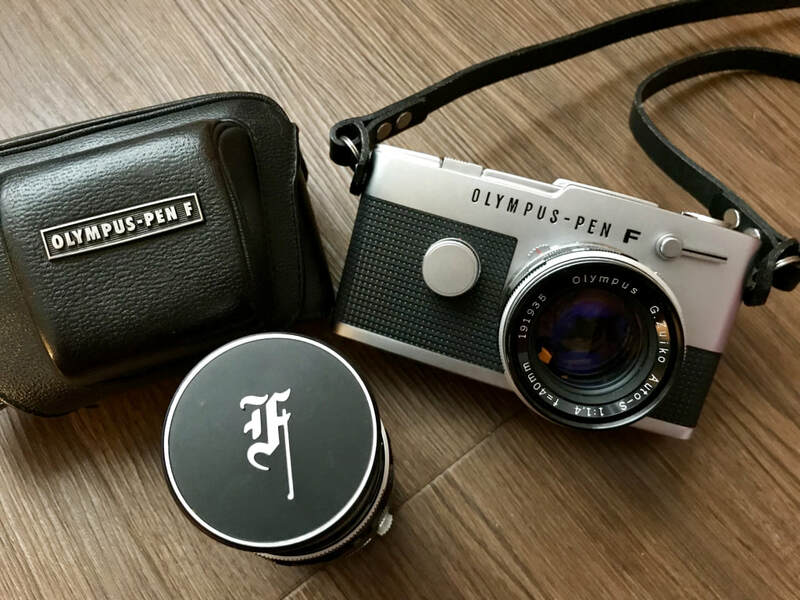 Olympus also released other types of half frame camera’s as well as these Pen SLR camera’s.